“Let’s fire up the grill,” is what my husband said before our trip to Korea. 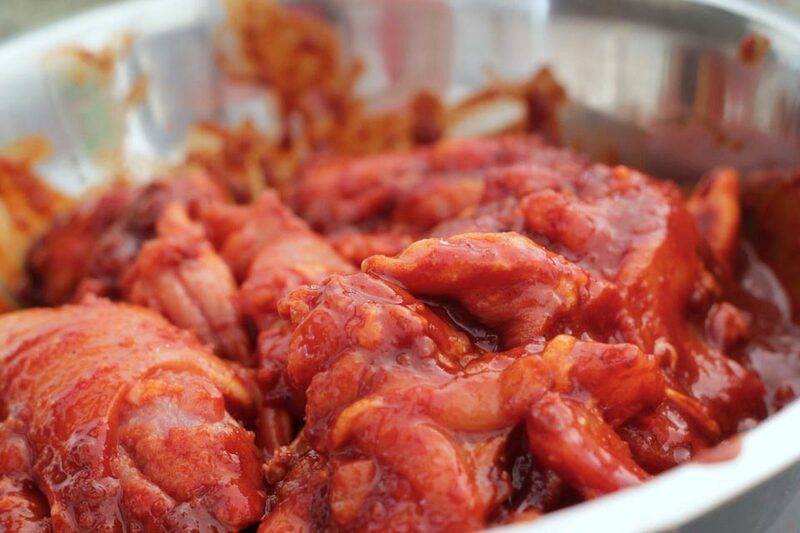 Since we’re going to Korea, we decided to post our Spicy Korean Barbecue Chicken Recipe before leaving. 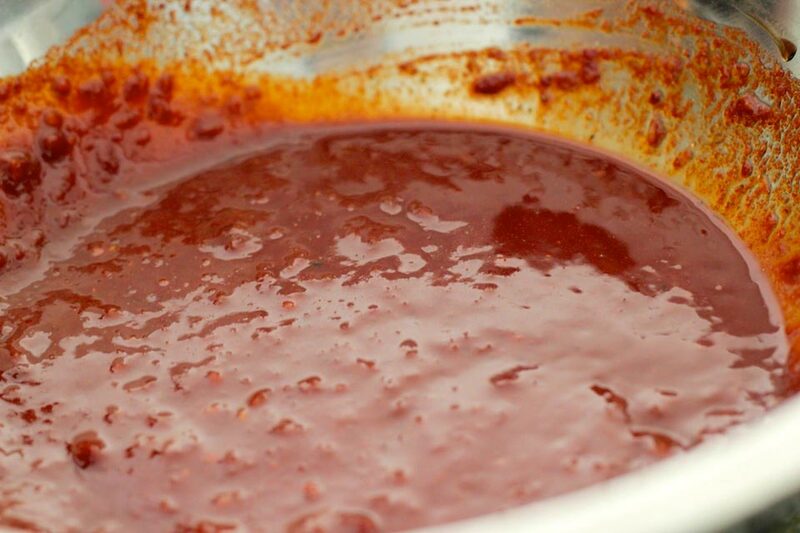 If you love spicy foods and barbecue, this is the recipe for you! 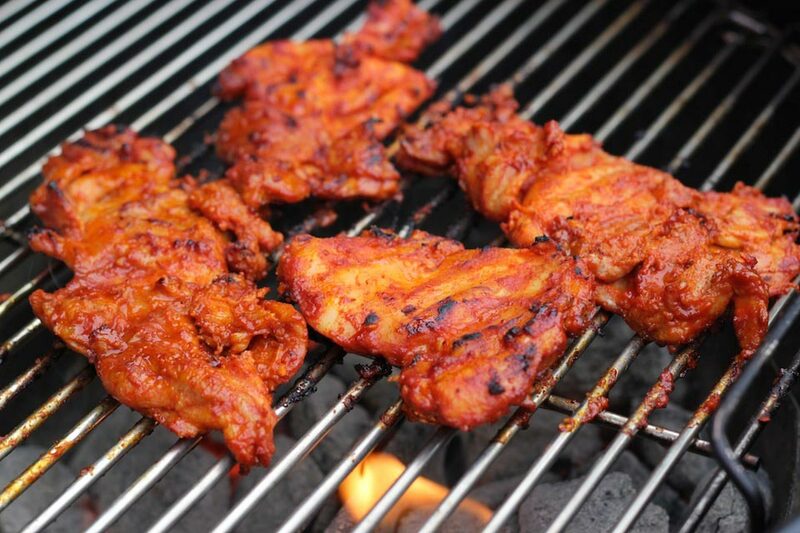 I recommend using a charcoal grill and marinating the chicken overnight for best results! Be careful not to burn the chicken! There are ingredients such as sugar and soy sauce which will burn easily, so watch the heat while grilling. Oh! and don’t substitue the gochujang with other chili pastes. It won’t taste the same. 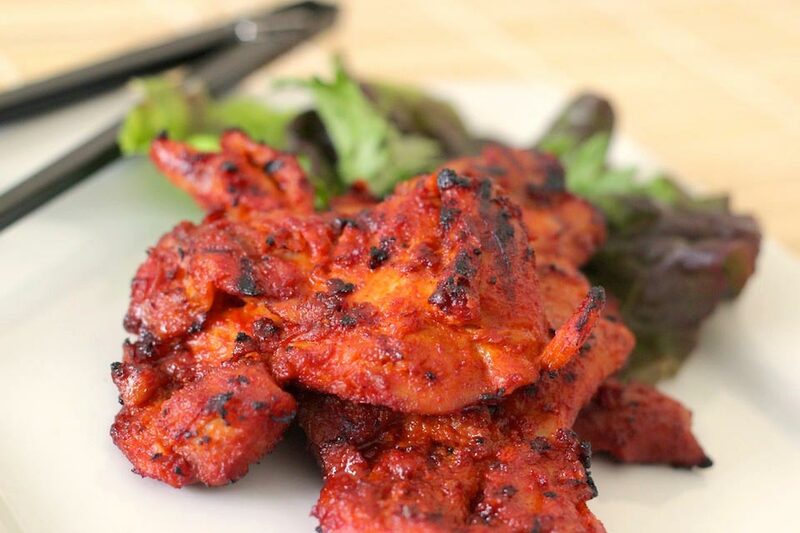 I like to eat Spicy Korean Barbecue Chicken with lots of fresh red leaf lettuce and other veggies. They taste good when they’re cold as well, making it great to pack for trips! Make the marinade sauce. 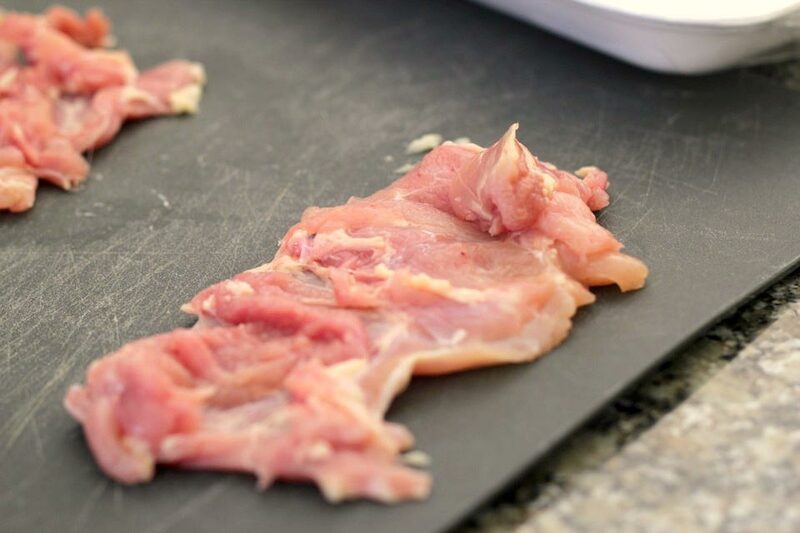 Remove excess fat from the chicken. 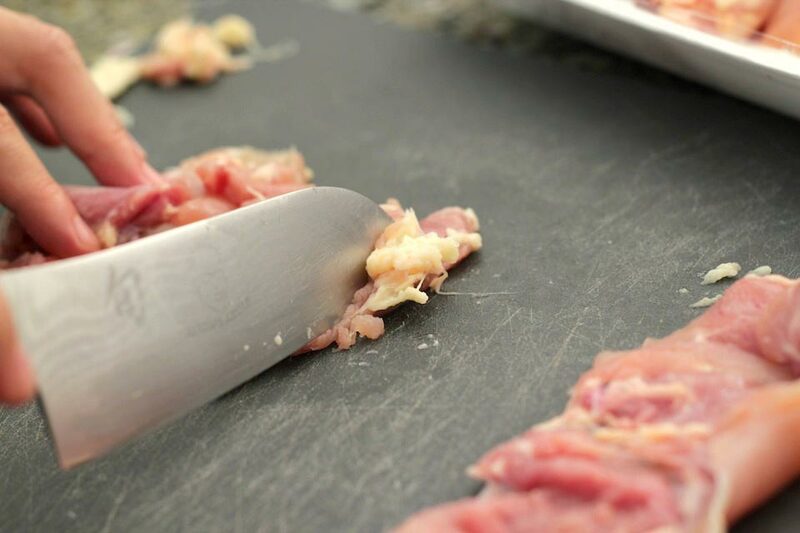 Cut to open up the chicken thigh to even thickness. Marinate the chicken for at least 2 to 3 hours (overnight preferred). 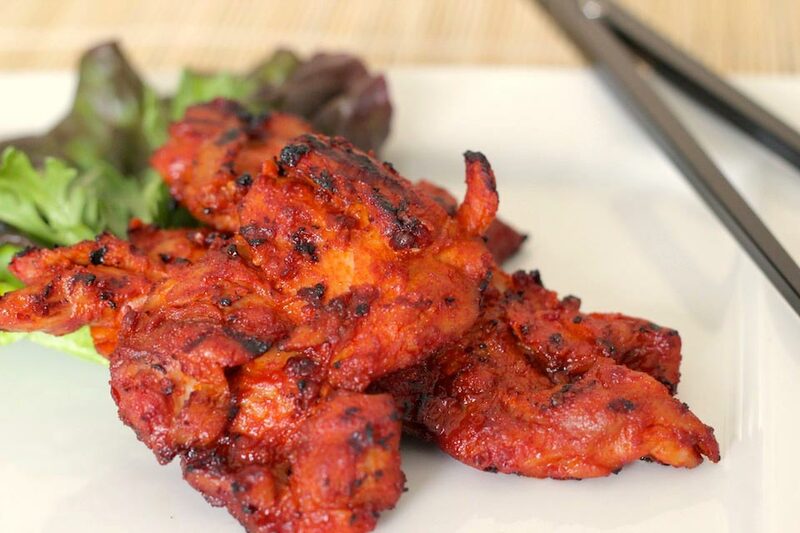 Grill the chicken on a charcoal grill over direct heat for best results. Be careful not to burn the chicken! There are ingredients such as sugar and soy sauce which will burn easily, so watch the heat while grilling. Serve with Red leaf lettuce and crown daisy.